Our massive collection of more than 130 million newspaper pages will allow you to watch history unfold in front of you. Our intuitive search will help you explore more than 5 thousand newspaper titles by keywords, date and ancestors' names. 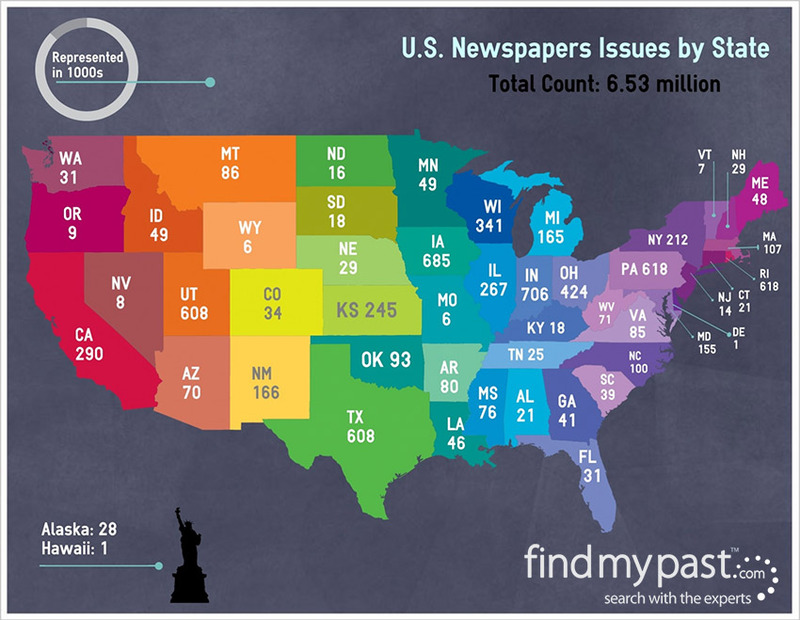 What is in U.S. Newspapers? findmypast's entire newspaper archives collection covers all of the United States over more than 300 years of history, ranging from 1753 to 2014. Explore the U.S. Newspaper collection of over 5,000 titles and 130 million pages and find new information about your family. What is in Canadian Newspapers? findmypast's Canadian newspaper collection includes nearly 100 titles from the provinces of Alberta, Manitoba, Newfoundland, Saskatchewan. Discover your family in newspaper articles documenting nearly 150 years of Canadian history, dating from as far back as 1872 up to 2014.